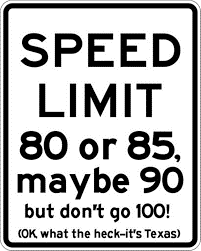 I passed a new road sign the other day, one of those that measure and inform you of your speed. I was told my speed was 27 and then the sign changed to “Thank you.” Very nice, but I then wondered what it says when you are speeding and is there a severity of message depending on how much you speed? Does the sign inadvertently challenge us to change our behaviour or speed to trigger other messages? In the next layby were three dirty and discarded mattresses. Had the local tip changed its rules and stopped taking such items? I am sure these results were not the intent, but how often have we heard of actions producing unintended consequences. Whether it is an expenses regime, encouraging profligacy or dishonesty or calling an election to reinforce your previously secure position. Visiting a university last week, I was disappointed to hear of certain courses or parts of some courses being re-written or discontinued. This sounds normal and desirable, but the reasons given were that students had given these elements a poor rating, not for their usefulness or relevance, but for their enjoyment. Whilst I am all for learning to be pleasurable, and have written on the benefits of humour and play in training scenarios, again there appear to be unintended consequences here. If policemen are measured on arrest numbers, they are liable to make more arrests. If tele-sales people are measured by the raw number of phone calls, we will all get more pointless calls. 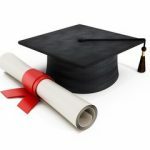 If Universities are judged on student satisfaction, but that is measured as are they happy rather than did they learn, then similar misdirected initiatives will flourish. This is crucial advice for any manager, but does mean they have to be very clear about what is important, and then ensure that is what they are asking for, supervising, measuring and rewarding. Although not always easy, this is essential for success, for team engagement and customer satisfaction. This entry was posted in Communication, Leadership, Management by Steve Goodwill. Bookmark the permalink.